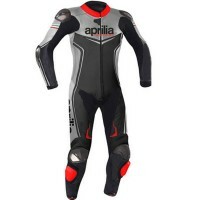 2018 Special Edition* Aprilia Racing Silver Black Race Leathers Exclusively made and sold by Relt..
Have a bike with the Camel colour scheme? Then this is the perfect compliment for that special ..
Special Edition* Carlos Checa Ducati Replica Race LeathersExclusively made by Reltex LeathersTop qua..
Special Custom Made to Order DUCATI Design Exclusively made by Reltex Leathers Tailored to fi..
Classic Design - One or Two Piece - Race Ready Design: Exactly as shown, with hump on t..
Special Edition - Large Hump - Track Ready Design: Exactly as shown, with hump on the r..
Limited Edition - One Piece - Track Ready Ideal for the proud lucky owners for the wond..
A close replica of leathers as worn by Valentino Rossi & Jorge Lorenzo for MotoGP Fiat Yamaha ra..
Rossi Rep - RRP £900 - Special Edition This is a close replica of the leathers as worn ..
Rossi Replica - RRP £900 - Special Edition This is a close replica of the leathers as w..
Have a bike with the Camel Honda colour scheme? Then this is the perfect compliment for that sp..
MADE TO ORDER* - EXCLUSIVE DESIGN Ideal for the proud lucky owners for the wonderful limited..